Skincare in modern times is laced with synthetic and chemical compounds as consumers seek a ‘quick fix’. But these results are only temporary and some may be hazardous to your skin and may eventually affect your overall health. Our scientists at Biopole, Switzerland have developed NanoVital Cell Extracts – all-natural, pure and fresh cellular bio-molecular peptides manufactured using the latest in nano ultrafiltration technologies. Aging is caused by degeneration of the cells in our body. Continual imbalances will lead to devitalized skin and chronic lifestyle diseases. The polypeptides in NanoVital Cell Extracts are nanoparticles (approximately 2 nanometres in stoke radius), able to penetrate deep into the dermis layer of the skin. Think of these peptides as ‘spare parts.’ They are assimilated by the body and act quickly, recognizing the tissues from which they originated and targeting deficient cells. 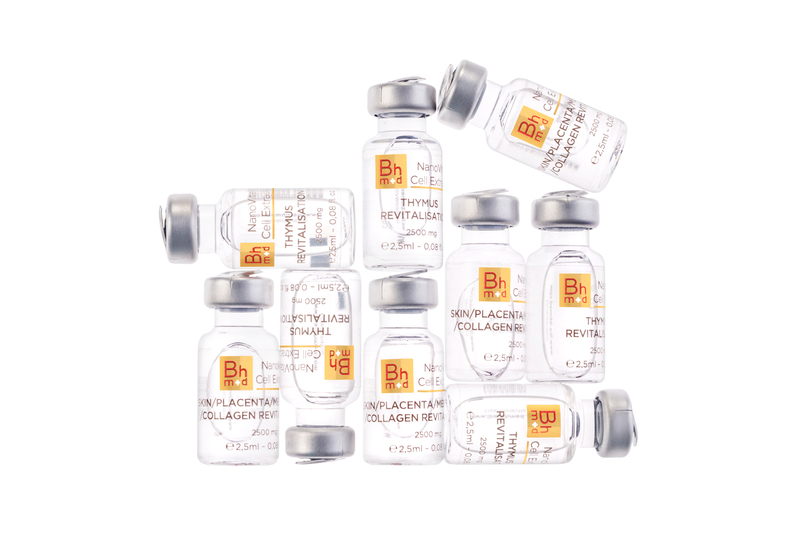 The bio-peptides will repair and replace damaged molecules with new, young and vigorous molecules. NanoVital Cell Extracts (Skin, Placenta, Mesenchyme) can be used to treat acne, scars, rosacea, wrinkles, hyperpigmentation, burns, keloids, and melasma. A licensed aesthetician can help make the transformation relatively pain-free with no downtime. New 21st century technology allows the extracts to safely penetrate deeper into the skin. The NanoVital rejuvenating procedure helps clients travel back in time, emerging from the spa with a younger, healthier appearance. Chilled between 4 to 18 degree Celsius. Specific basic organelles cellular components has, among others, substrates and enzymes that are specific for the intended organ. This enables direct stimulation‪ to a particular organ of the body.